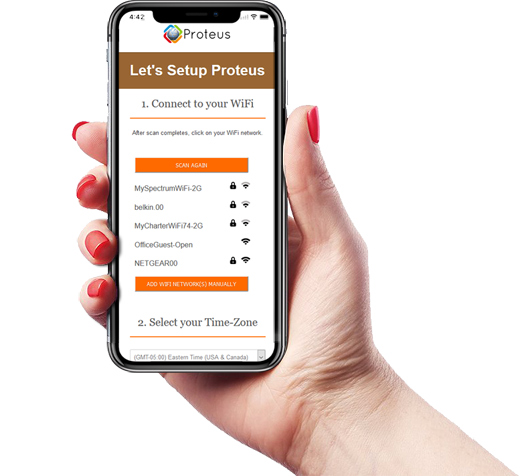 The Proteus Aquo Wi-Fi water sensor for your basement, kitchen or bathroom is designed to detect and alert you to potential water damage. The Wi-Fi water sensor keeps constant guard throughout the day and night, and automatically alerts you when water damage is imminent. In addition to notifying multiple phones and emails, the built-in siren will also alert you immediately if you are in the area. If you are away from your home for extended periods, the Wi-Fi water sensor allows you to be in the know and take action remotely. Save yourself from the messy and costly water damages with Proteus AQUO. •	Multiple sensors can be connected together via splitter. •	Send alert to multiple emails, and phones. Got a question? Need help while setting up? Call us and talk to real and friendly support staff. No automated messages. Proteus Aquo Wi-Fi sensor monitors presence of water and sends you alert messages when water is detected, to your inbox or smart phone. Aquo connects to your home or office Wi-Fi networks . Setup is easy, takes just minutes. AQUO supports upto five sensor cables through a splitter to monitor multiple spots for water leakage. 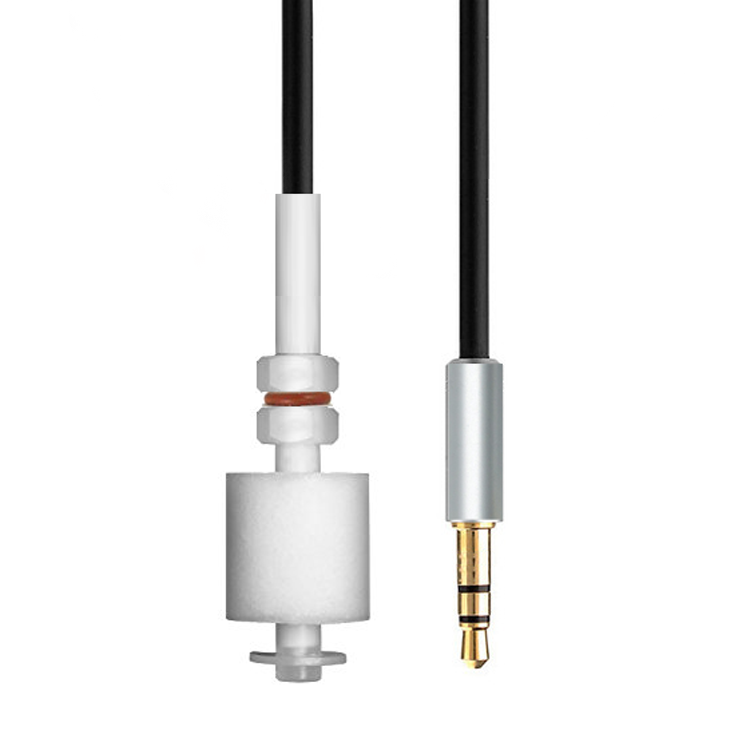 Default 5ft long sensor cables can be extended upto 50ft or more as needed. 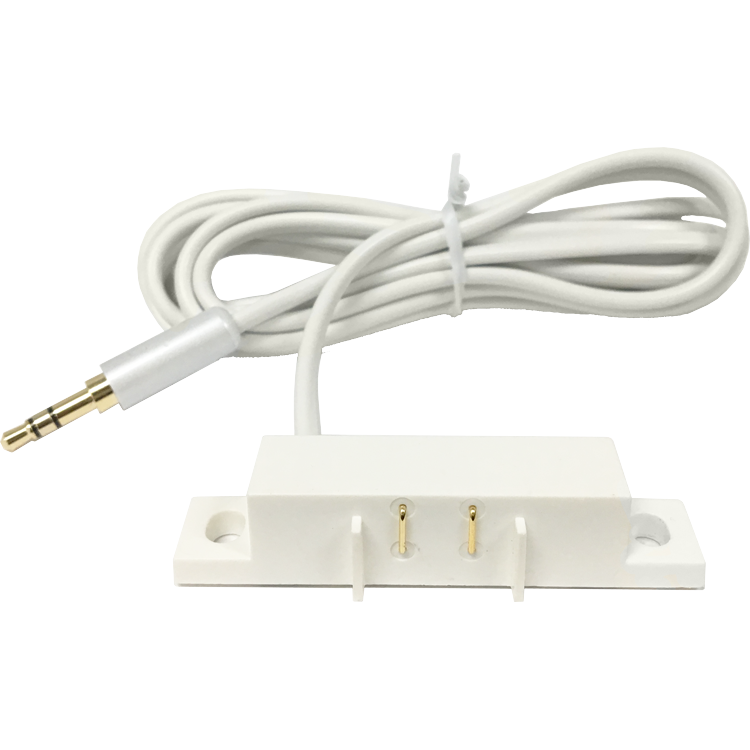 A Sump pump float sensor switch can be added alongside the water sensor cable(s) to monitor water level inside your sump pits. Proteus can support upto 5 water sensors. They all connect to a single base unit through a splitter included with the package. NOTE: When adding more than one water sensors to the base unit, the base unit will not be able to distinguish which of the multiple sensors detected water. If you need to identify specifically which sensor triggered, then you will need individual base units which can be named to match your installed locations. The alerts will include this sensor name so you can identify each sensor. If you wish to monitor your sump pit as well, you can add the sump pump water sensor to your order. 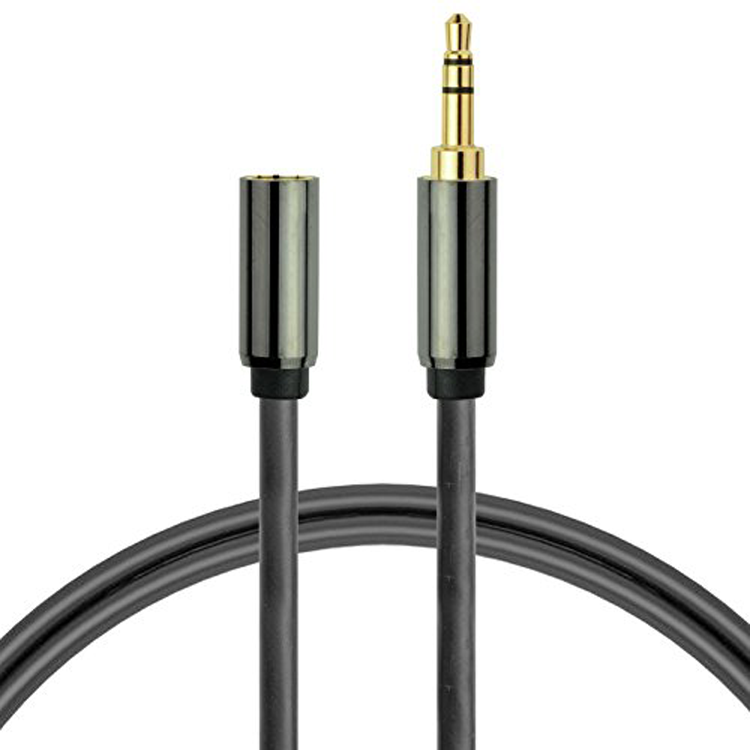 Connects to the same base unit through a splitter. What is the difference between Proteus AQUO and Proteus L5 Level Sensor? Proteus L5 sump pump level sensor uses a float switch detector. The moving float switch rises/ falls as water level rises and this mechanical action triggers the alarm. As there are no exposed electrodes, the chances of condensation in high humidity spots such as sump pits are minimized, thereby avoiding false alerts.